The Butter Box Grey by Bloomingville is a great storage place for your butter. Lift up the cover, insert butter and now the butter is always handy. That way you can take it from the fridge and put it directly on the nicely set dining room table, because the attractive Bloomingville butter box is just that goodlooking. 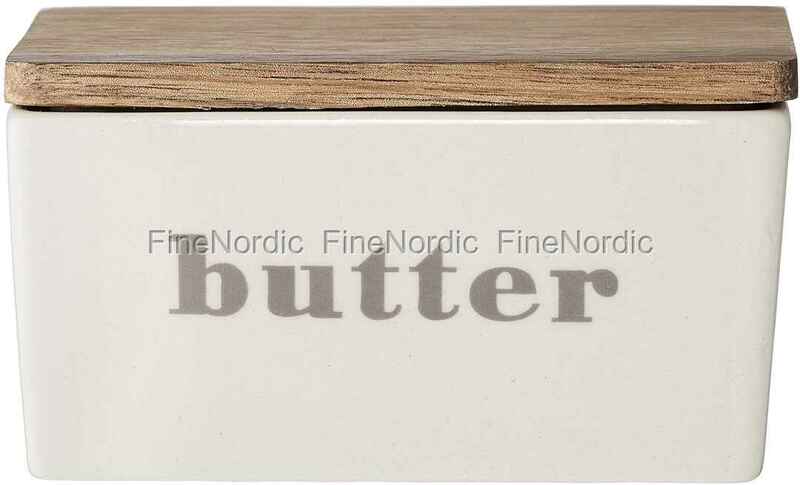 The simple wooden lid stands in nice contrast to the porcelain container and thanks to the inscription: butter, everyone knows right away what is hiding in it. Pretty clever, Bloomingville!